If you've ever been stranded with a flat tire on a dark lonely road miles away from the nearest gas station you will understand just how good it is to have the Raniaco 12V Portable Auto Air Compressor in your car. Not only for yourself, but this also makes a great gift for anyone you care about, especially a good gift for someone that just got their driver's license. 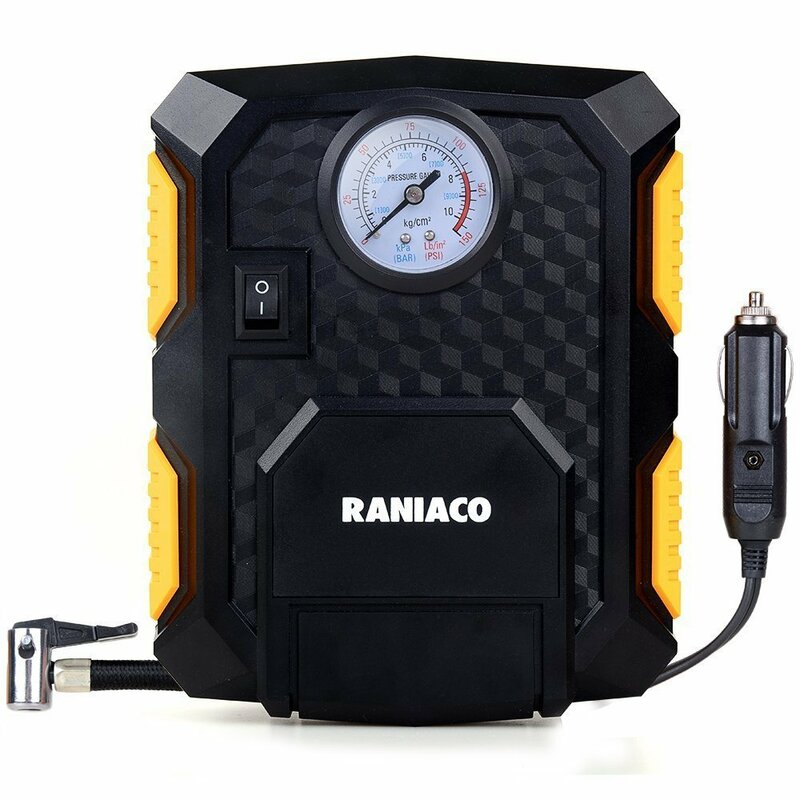 This portable air compressor plugs into your vehicle's cigarette lighter, and the cord is plenty long enough to reach your back tires. There is an air gauge to let you know just how much air pressure is in your tire, and one of the best features in my opinion in the built in LED light so you can see what you're working on no matter how dark of an area you are in, a dark garage, a dark roadside. This air compressor also comes with a few different adapters so that you can fill basketballs, footballs, volley balls, etc. You're not just limited to airing up your tires. This is such a handy tool to have with you in your vehicle at all times.